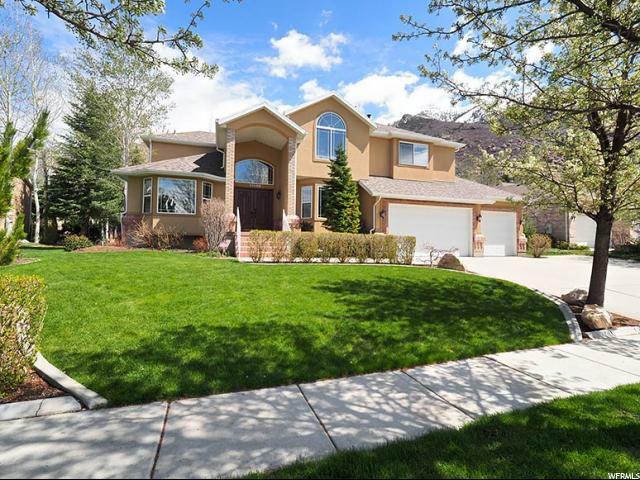 All AUTUMN RIDGE homes currently listed for sale in Sandy as of 04/25/2019 are shown below. You can change the search criteria at any time by pressing the 'Change Search' button below. "Fabulous updated and immaculate Autumn Ridge Executive home located in a quiet cul-de-sac! Newly remodeled chefs kitchen with beautiful cabinetry, Subzero refrigerator, double ovens and all the amenities you could dream of! Stunning entry with new double front doors and a beautiful new staircase. Formal living areas and a cozy family room off the kitchen with direct access to the incredible flat and private east facing back yard. Built-ins make the study a perfect retreat. It you are a car enthusiast or a large family, check out the huge heated 4 car garage with tons of storage. Two master bedrooms and two additional bedrooms upstairs for keeping the family together. The fully finished basement has 2 bedrooms and a large family room with a second kitchen and beautiful built-ins. Other amenities include a craft room, lots of additional storage, a hot tub and a fully serviced garden shed. This original owner home has been impeccably cared for and is ready for its next forever family!" "Autumn Ridge Executive home with stunning Views! Live in one of Sandy's premier neighborhoods. Traditional finishes throughout this large family home. Stunning stained glass front entry, gleaming hardwood floors, extensive woodwork abounds in this beautiful home. Four bedrooms up including a large master retreat with its own private deck overlooking the entire valley and the mountains. The main floor has all the formal areas for entertaining including a formal living room, dining room and den and a large kitchen/great room for family living. The basement is perfect for married children, a mother-in-law or just a great family area with its second kitchen. Walk out to the perfect backyard and trampoline or hang out on the huge deck right off the kitchen and enjoy beautiful valley views! This home is in great condition and ready for your personal touches!" 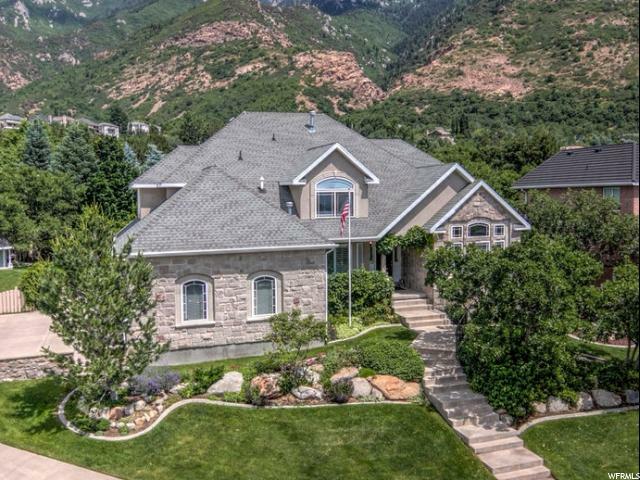 "*Located in a Cul De Sac, at the Base of the Wasatch Mountains*Within Minutes to World Class Snow Bird, Alta, Deer Valley Ski Resorts, Park City, Hiking/Biking Trails, Parks and International Airport*Breathtaking Mountain and Valley Views* Vaulted, Large Open Rooms and Windows Bring the Outdoors Inside*Formal Living, Dinning, Breakfast Nook, and Large Office on Main Level*Master Bed/Bath Suite has Fireplace and Walkout Deck*Recently Remodeled, Including All New Wood Floors, Bathroom Tile, Sinks, Faucets, and Fixtures*New Furnaces and A/C Units*Professionally Landscaped with Mature Trees, Natural Scrub Oak, and Permanent Play House*Relax on Rear Patio in Park Like Back Yard*Three Car Side Entry Garage*Buyer to Verify All Information and Square Footage*"